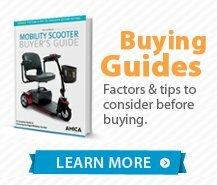 Four wheel scooters offer increased stability and a smooth ride. 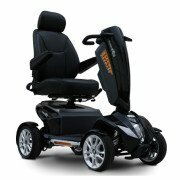 These scooters offer up to 20 miles of travel range, and some models come with large tires to handle any terrain. 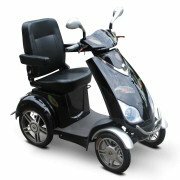 Most scooters have headlights and swiveling seats for easy entry. 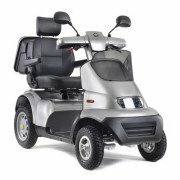 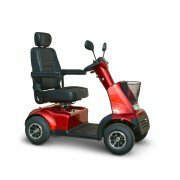 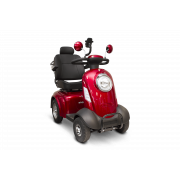 Our scooters come with a comprehensive one year warranty, and extended full-service plan can be purchased separately. 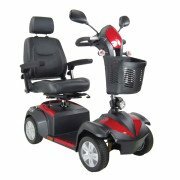 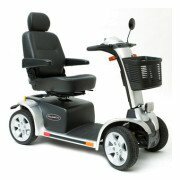 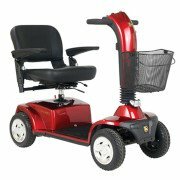 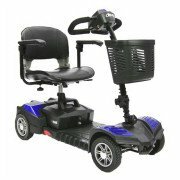 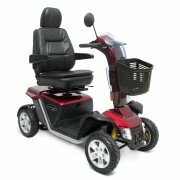 4 Wheel Scooters are mid-sized scooter designed with more comfort and larger electric batteries for a longer range per battery charge. 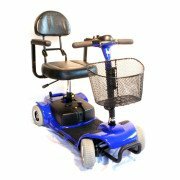 4 wheel scooters have a wider turning radius than 3 wheel models but are more stable, especially when travelling outdoors. 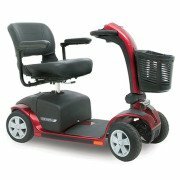 These units may break down into smaller pieces but will not be as light as the travel scooters. 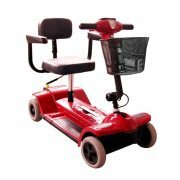 These 4 wheel scooters can be loaded into vehicles using scooter ramps or by using an electric scooter lift.